Sign up to our email newsletter to get priority access to our latest deals and discounts, and we'll also send you useful holiday-planning advice as well as news about our featured resorts in the Alps. "A huge thank you for all your help and especially in fulfilling all my questions/requests with where we stayed. We had great snow, loads of sunshine and such a lovely holiday. We would 100% use PowderBeds again - recommend to everyone!" No time for a week away? 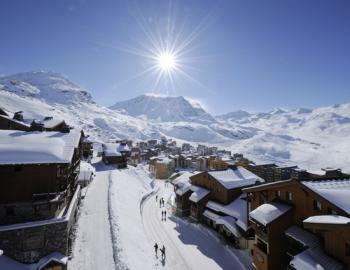 We've got some great short breaks to get you on the slopes this coming season. Head over to our blog to get some inspiration. Stunning contemporary apartments located in popular Les Gets perfect for families and groups. Book now for next season! Ideally located in the heart of Morzine, the cosy and stylish Hotel La Bergerie is the perfect place for families or groups looking to explore the Portes du Soleil. Book now for next season! 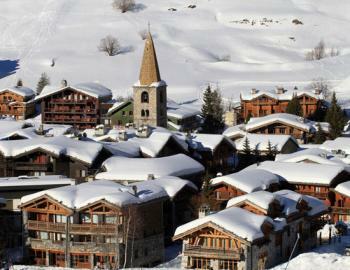 Cosy and spacious apartments a short walk from the slopes and the town centre. Book now for 2019/20! I have been so pleased with PowderBeds... I don’t think I’ve ever had such an easy and pleasant experience booking a holiday! Absolutely no doubt I will be recommending you to EVERYONE and we will book through you every year. The website was super easy to use, and then I was able to call one of the friendly staff to go over a few details when plans changed. I would definitely go to PowderBeds as my first choice travel provider for skiing holidays in future. Fantastic booking agent - I would highly recommend. We have used Powderbeds on two occasions and the booking process is easy, but most importantly their customer service is first class. PowderBeds do a great job, elegantly. No fuss, just great service. I book my annual ski holiday through PowderBeds every time - best for value and deals, particularly for busy periods such as the February half term! Once again, I booked with Powderbeds who cannot do enough to sort things out for you. I will definitely book with them again next year. Your customer service is excellent and is the reason we booked with you again this year. Thank you PowderBeds! PowderBeds have proved to be an excellent agent for helping us find a great holiday. The whole experience was made all the easier through the assistance of Jude. She helped with all of our requests which made our trip trouble free. Everything was exactly as expected. I will definitely use PowderBeds again. 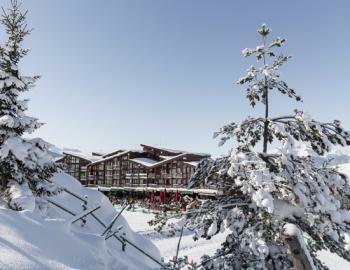 The coolest French resort of the past 40 years is still cutting edge for snow sports, it’s just much bigger now with four base villages and a lift link to La Plagne creating one of the world’s three biggest ski areas. The world famous classic is a beautiful old snow-sure village with a spectacular ski area which, with neighbouring Tignes, is amongst the biggest in the Alps. Europe's highest resort is fast becoming one of the biggest, which means ever better facilities at the top of the world's biggest ski region. 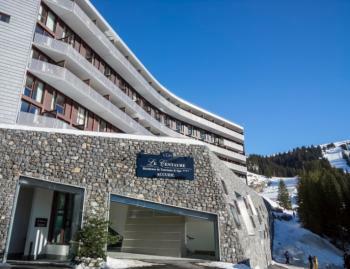 Flaine Montsoleil Les Terrasses d'Eos is a residence with stylish and modern self-catered apartments, offering superb spa and leisure facilities and direct access to the ski slopes of Flaine. 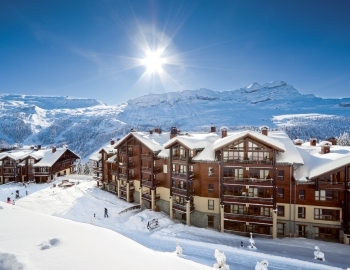 Le Village Arc 1950 are popular ski-in/ski-out four star apartments with great facilities, located around the resort's shops, bars and restaurants. There's a resort kids club and village ski school. A fabulous ski in/ski out development in the modern resort of Flaine, Residence La Centaure features an indoor pool and a residents lounge with an open fire. Conditions are looking great in the Alps, here's what the weather will be doing over the next couple of weeks and where you should be skiing! February Half Term is fast approaching and we've got a snow report to get you excited for your upcoming ski trip!